The Retro Apartments offers a tranquil setting in the bustling southern metropolis of New Orleans, Louisiana. 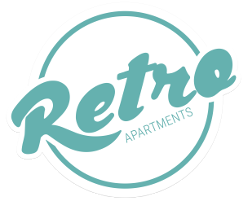 Carefully planned and thoughtfully designed, The Retro Apartments is the newest luxury apartment community in the Big Easy. Our modern architecture, exceptional amenities, and incomparable professional management team we implemented to please your every whim. Our community serves as an extended floor plan where you can indulge in your every yearning: take a dip in our heated, zero-entry resort style pool with cabanas, stick to your fitness goals in our 24-hour fitness center, or unwind in our Wi-Fi garden with internal pond and waterfall. Tour your new apartment, and discover all of our designer features and conveniences. Ranked by Travel + Leisure poll as one of "America's Favorite Cities" - New Orleans has many major attractions from the world-renowned French Quarter to the notorious Bourbon Street. Although The Metro Apartments offers exceptional amenities and customer service, we realize that you are in the middle of a thriving, flourishing southern metropolis. Our location allows direct access to Interstate 10, which makes the trip to all of the downtown eateries, shopping opportunities, and thriving nightlife easily-accessible for our residents. Enjoy all of the major attractions that New Orleans has to offer from Jackson Square and the French Market to Preservation Hall and the National World War II Museum. Experience all our community has to offer today. Map of New Orleans, LA which includes a marker with additional information about The Retro Apartments. The address is One Canal Street New Orleans, LA 70130.